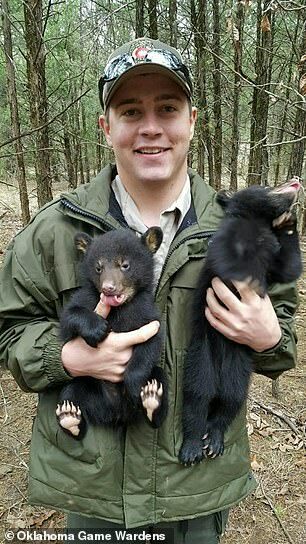 Cannon Harrison, with the state’s Department of Wildlife Conservation, shared that he was notified in December that he matched with a girl in McIntosh County. The 24-year-old chatted to the e woman after she sparked conversation – as the popular app requires woman to take the initial steps – and was quickly shocked at how initially honest she was. ‘Just shot a bigo buck. Pretty happy about it,’ the woman says to Harrison, who doesn’t list his profession on his profile. Spotlighting refers to when hunters shine bright lights at areas, during the nighttime, in hopes of spotting wildlife. In Oklahoma, it is illegal to do so. 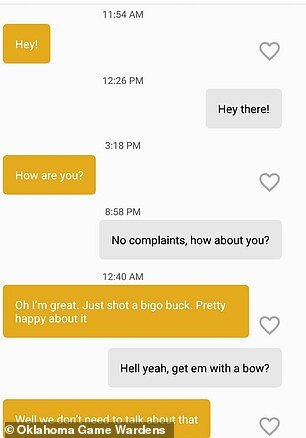 Seemingly impressed by his curiosity, the woman indicates that a spotlight was used before hastily sharing where she shot the deer and sending a picture of it. Included in the photo was a bright light, which Harrison believed could have been a spotlight. 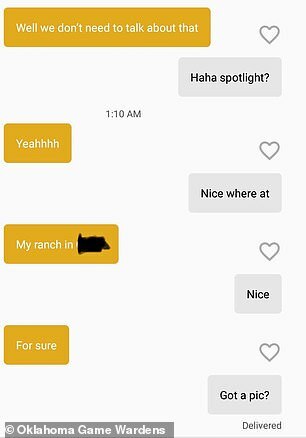 The conversation ended, soon after. McIntosh County has a population of just under 20,000 and Harrison is pretty well known in the area for his profession since he started in 2017. Using only the woman’s first name, the photo and with a general idea of the woman’s location, Harrison used social media to pinpoint the woman’s location. Game warden personnel apprehended the woman on the next day. 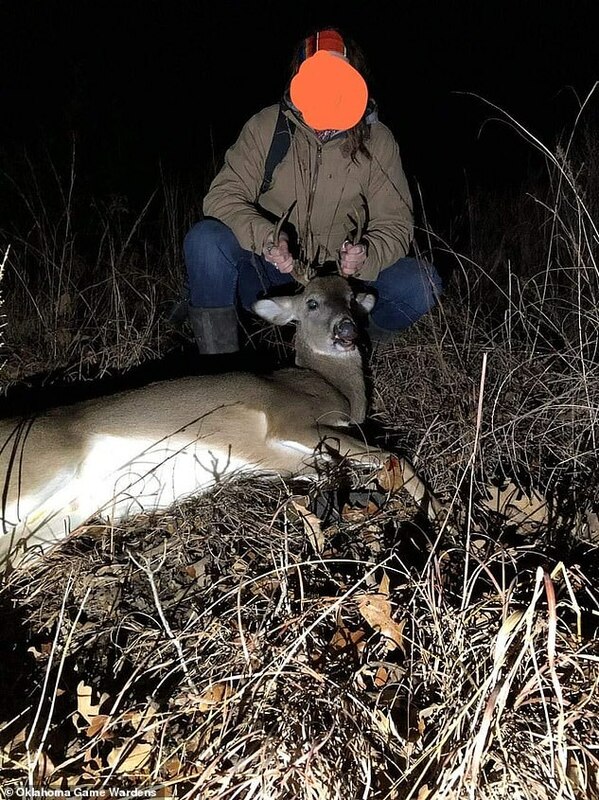 The woman – whose identity has not been released – pleaded guilty to hunting deer out of season and possessing game that was taken illegally, according to the game warden. She wound up with a $2,400 fine, according to Tulsa World. 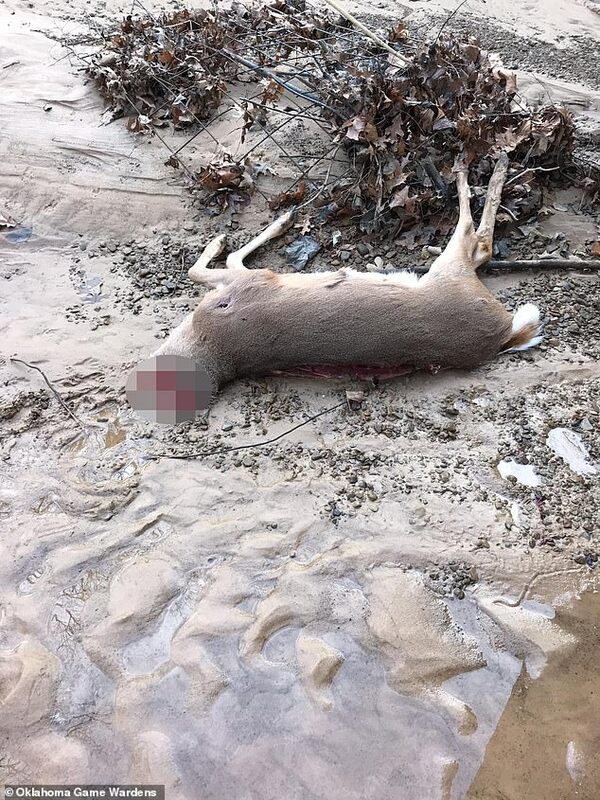 A man who was hunting with the woman took the buck’s head home and incurred part of the fines. The huntress will not get any jail time for paying her portion of the fines. 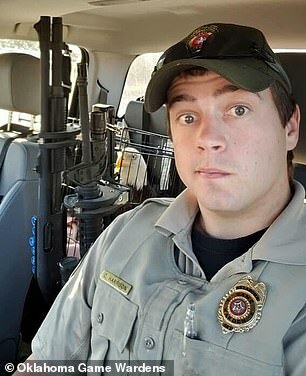 According to Harrison, social media has really helped the game wardens in cracking down on more illegal hunting practices. The sentiment was shared by Bill Hale, Law Enforcement Division chief. ‘Social media in general is working very well, whether it’s put on there by the person who has done it or someone who knows the person and tells about it, we might make two or three cases, statewide, because of social media,’ he said.